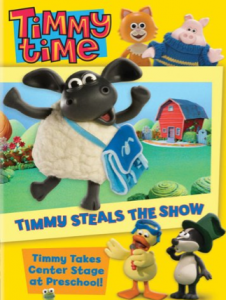 When we received the Thomas DVD in the mail, this Timmy Time DVD Timmy Steals the Show was included in the package. We had never seen Timmy Time before, and I honestly was excited to add something new to our entertainment mix! Each Episode will follow a day in the life of Timmy and his friends in Nursery. The daily routine is usually disrupted when Timmy or one of the class is naughty, or over inquisitive, or sibling rivalry erupts. For the young animals it’s all in the day to day experience of learning about life, friendship and trial and error. Timmy is the central character and the stories revolve around him. Storylines are strong but simple enough to be told without dialogue using a unique combination of expressive character animation, gesture and reactions, comedy and slapstick, Baahs, quacks and oinks etc. Timmy can be a bit of a handful only because he’s eager and enthusiastic. In each Episode he will learn something about himself and his friends as well as the days’ activities. I like that the shows teach lessons, and that they show you don’t have to be perfect and you can learn from your mistakes. I also love the claymation style animation! 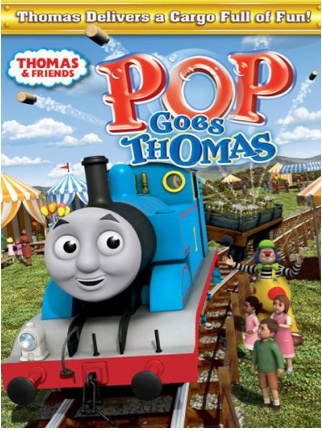 One lucky reader will win a copy of the Thomas DVD Pop Goes Thomas. This contest is open to all US residents. Entries will be accepted until the end of the day (midnight CST) Wednesday, May 11. Mandatory Entry: Visit the Timmy Time site and click on one of the character’s pictures, then come back here and tell me what animal you clicked on and what their name is. Note: I received a copy of the DVD for review, and one is being provided for the giveaway. I was not compensated monetarily for this post. Any opinions are honest and my own. The boys are HUGE Thomas fans, so they were thrilled when the Pop Goes Thomas DVD arrived in our mailbox. It’s got four episodes (all with CGI animation) that are all a lot of fun. In one, Thomas delivers a picnic surprise of bubbling lemonade to everyone after encountering some bumps along the way. The adventures continue when Thomas and Percy play a fun game of hide-and-seek while trying to get all their work done too! Cheer on the Sodor football team with Emily, and make sure you save room for cake because Mr. Bubbles the clown prepared a showstopper of a picnic. I can’t even count the number of times we’ve watched Pop Goes Thomas since receiving it – it’s definitely a hit! Your kids can enjoy this DVD too – you can find it on Amazon, and you just might win your own copy here! One lucky reader will win a copy of the Thomas DVD Pop Goes Thomas. This contest is open to all US residents. Entries will be accepted until the end of the day (midnight CST) Tuesday, May 10. Mandatory Entry: Comment below telling me your child’s (or your!) favorite train from Thomas! J is partial to Percy, and C loooooves Gordon. 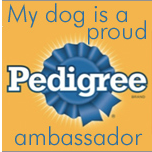 Josie is a Pedigree Ambassador! See that tiny little face peeping out from under the blanket there? 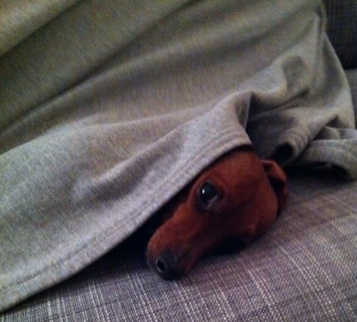 That’s Josie, our miniature dachshund and our first “baby” before the boys were even born. She is the sweetest dog ever – I don’t think she has ever growled or snapped at anyone. She is amazingly patient with the boys and has become fast friends with them (we think it’s partially because they tend to drop food at the dinner table). She is a snuggler and loves to burrow under blankets, especially with one of us. Josie was chosen as a Pedigree Ambassador, and over the next six weeks we’ll be transitioning her to Pedigree Small Breed Nutrition. We started her on the food last week and she seems to like it so far! Pedigree suggests transitioning to a new food gradually: for days 1+2 we put 25% of the new food into Josie’s dry dog food. For days 3+4, 50% new food should be in the dish. For days 5+6, 75% of the food will be the new Pedigree, and beyond 7 days the food will be 100% of the new Pedigree. I’ll be writing a few follow-up posts in the coming week to track Josie’s progress with the transition to her new Pedigree Small Breed Nutrition food! To find out more information about Pedigree and keep up with their updates, visit them at Pedigree.com, follow @PedigreeUS on Twitter, or “like” the Pedigree Adoption Drive Facebook page. OrangeHeroMama is, in her words, a “far from 32” (I’m guessing that means she’s still in her 20’s, don’t you think?) Canadian mom to two girls. OHM hosts giveaways and reviews, but also shares a lot more than that. When you visit her blog you feel like you get to know her and her family through her posts and photos – you’ll feel like you’ve known her forever! Do you enjoy finding unique items? If so, you’ll love Sam’s blog I Enjoy Stuff. She finds great products and puts them all at your fingertips when you visit her blog. Be sure and check out a free printable for making your own all-in-one letter/envelope! Sam’s a newer blogger, so be sure and welcome her to blogville! Katie at Mommy Katie is married to a former Marine and is raising two kids in Texas. She and her family have been affected by hard economic times, but have kept a positive outlook and have made the best of things! 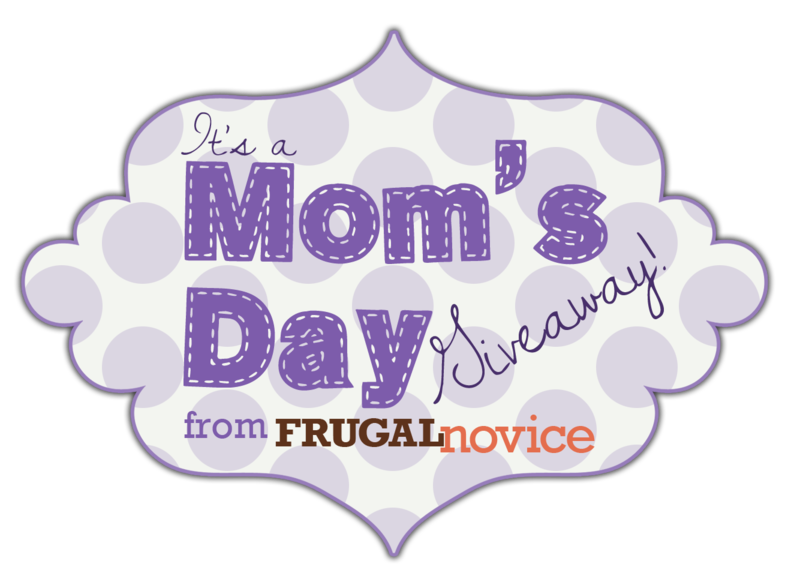 She hosts a lot of reviews and giveaways for everything from toys to cookware! to share the link list on your blog, too. Brian is really handy and has done a ton of projects around our house. 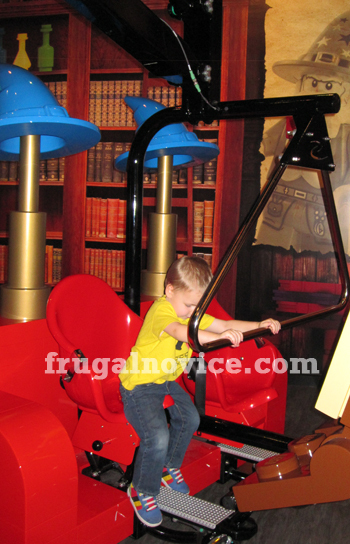 I’m hoping to become more handy, and I definitely want the boys to grow up being comfortable with tools. Brian’s tools are just too big for their little hands, but Red Toolbox provides a series of tools for kids, along with great kits for projects to build. Mother’s Day is just around the corner, and Red Toolbox is a great unique gift idea – the line includes a variety of tools ergonomically designed to fit a child’s grip as well as original carpentry kits that kids and parents can create together, allowing them to spend valuable time together while learning new skills. The kits are reasonably priced & can serve as a memorable – and affordable – Mother’s Day present. I am SO impressed with the quality of the tools. These are really nice, just as nice as “grown up” versions. Obviously C is too young to use the tools right now, but although the box specifies ages 8+ we will let J use the tools (just not the saw!) with close supervision and help from us. 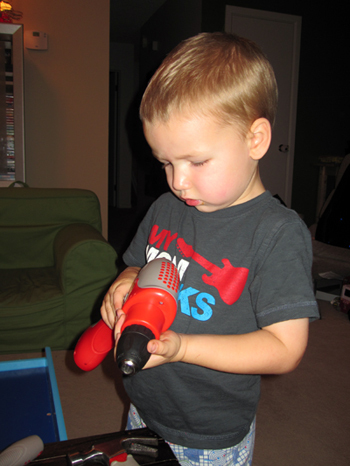 He was SO excited to have tools “just like Dad!” and had to examine the drill immediately. Doesn’t he look like a little pro? 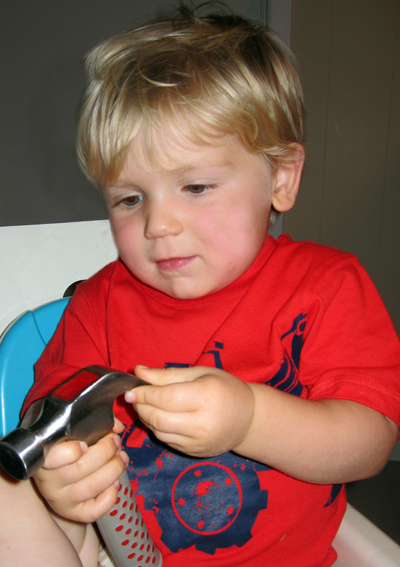 We let C hold the hammer for a minute – you can see how the size is really nice for kids – the handle ends where the photo is cropped. We are planning to work as a family to build the jewelry box this weekend, and I think this is at the heart of Red Toolbox’s mission – I love their motto, “Quality time in a box.” Working on projects like this as a family is a great way to learn to work as a team, and it’ll teach the kids to take pride in things they’ve created. J is really looking forward to working on it! I will post a photo when we finish so you can see the final product. I love this as an idea for a Mother’s Day gift! 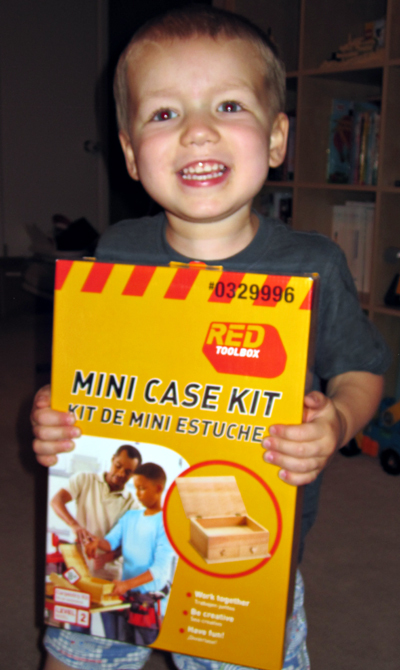 If you want to try some Red Toolbox projects with your kids, you can find them at Lowe’s and you can see the variety of products available when you visit the Red Toolbox site. Note: I received products from Red Toolbox for review. I was not compensated monetarily for this post. All opinions are honest and are my own. If you didn’t already know it, our family is, um, kind of a LEGO family. 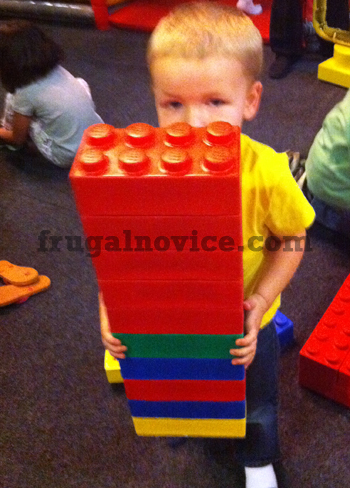 Brian grew up playing with them (and still has all of his bricks from childhood) and now the boys love them too. I love the creativity they instill, even if I’m not that great at building things! 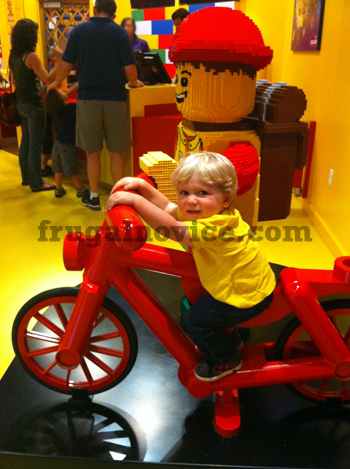 Anyway, a couple of years ago we had the chance to visit Legoland in Schaumburg and had a lot of fun. C was only a few months old, so he missed out on the fun. Now there’s one in Grapevine, so we decided we needed to go sometime soon. 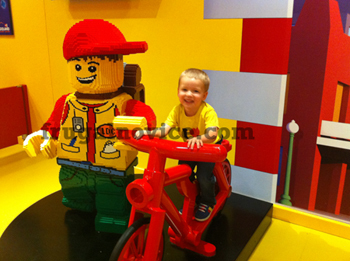 It ended up working out that we were able to surprise the boys with a visit to Legoland on Easter – they loved it! Our timing probably wasn’t the best, because it was really crowded and we had to do a LOT of waiting around (not so fun with a 2 & 3-year-old). Regardless, it was still a great time overall. There was this giant minifig (giantfig?) out in the waiting area, and since we were out there about 15 minutes waiting to get in the boys entertained themselves with riding his bike. 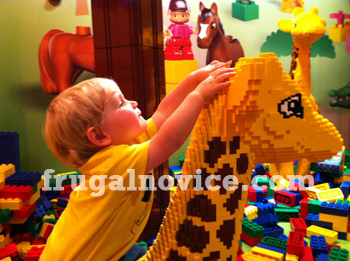 We got to see LEGO DFW, including the Stockyards, airport and more. The boys’ favorite part by far was the train. They thought it was cool seeing Great Wolf Lodge, too (they still talk about that trip)! Afterward we had to make a stop in the LEGO store, of course. 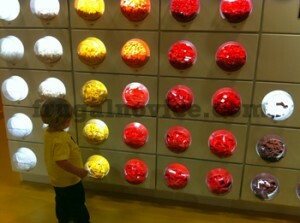 C was in love with the pick-a-brick wall and kept pacing back and forth along it, looking at all of the colors. First of all, can you believe that the end of April is almost here? Every year seems to fly by, but this one especially so. I’m hoping the next four months slow down a bit, because I’m not ready for J to turn 4 yet! Did you have a good Easter weekend? Ours was good. We even made it to the early service at church, which is an amazing feat if you know us! The boys liked their Easter baskets – we had found some Thomas trains on clearance a while back and saved them for their baskets, and they were a big hit. We didn’t end up doing an egg hunt, but the boys both got to do one at school, at least. Next year I am sure we’ll do one, since both the boys will be old enough to really have fun with it together. Meal time! I am SO excited because grilling season is here, and we love to grill out. If you have any suggestions for “must haves” on the grill, please send them my way! Monday: Still not sure at this point what we’ll be having! Ideas? Tuesday: Do you even need to ask? Wednesday: Grilled chicken & veggie kabobs, with onion, red pepper and zucchini. We got some wild rice to try that we’ll probably make to go with it. Thursday: Tomato basil soup & paninis. Yes, a winter meal. But I don’t care! This is one of our favorite meals. 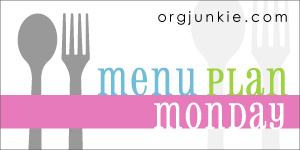 Friday: Fajitas – Grilled chicken and skirt steak, onions, peppers, guacamole, & shredded cheese. Saturday: Fajita nachos – we’ll have leftover meat with queso & black refried beans on chips. 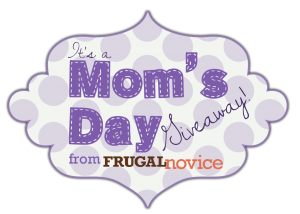 Have you entered any of my giveaways? I have quite a few up, with more to come this week. I’m also hoping to get up a post about C’s birthday party – I took a ton of pictures and can’t wait to show you! Hope you all have a great week! How Important is the Landing Page? I’ve been reading a book about blogging recently, and in it they talk about the value of having a good landing page design. I’m curious, if you’re a blogger – do you have a landing page, or do people come directly to your blog content? My theme had the option of having a landing page, but I chose not to use one. The theory is that a good landing page provides conversion rate optimization – basically meaning you get more people to act (subscribe, enter giveaways, or in the case of a business, make a purchase). What do you think? If you’re like me you probably have thousands of photos on your computer, many of which you’d love to have printed in some capacity or another. You probably also have a favorite or two that sure would be great to feature in your house, if you could only figure out a good way to do it. 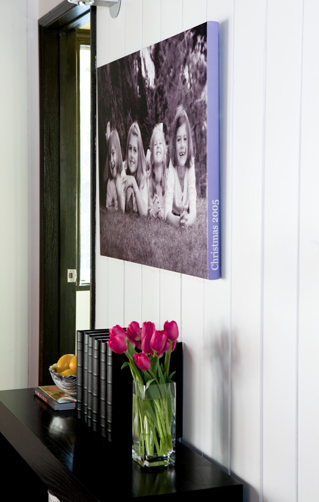 You can order custom prints of your photographs/images, or you can purchase one of their many designer canvases available on their site. Either way, you’ll end up with a unique & beautiful piece to display in your home. One lucky reader will win a $50 gift card to Chic Canvas. This contest is open to all US residents. Entries will be accepted until the end of the day (midnight CST) Friday, May 6. 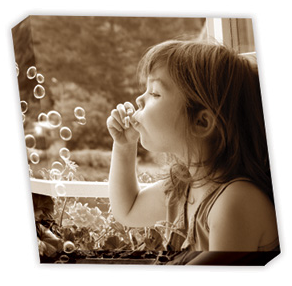 Mandatory Entry: Comment answering this question – who is in the photo you’d have printed on a canvas? Note: ChicCanvas.com provided me with the gift code for the giveaway. I did not receive a review product and was not compensated monetarily for this post. Any opinions are honest and my own. After leaving the corporate world behind, Jeannette is now the CEO of her household at The Adventures of J-Man and MillerBug. Chronicling her daily life with her two adorable boys and wonderful husband, you’ll find the cutest pictures showing the highs, the lows and everything in between (and even a fun review and giveaway thrown in as well). 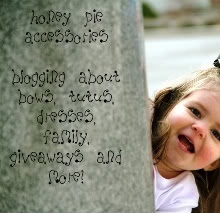 If you like bows, tutus, dresses, family, giveaways, and more, then Honey Pie Accessories one blog you’re not going to want to miss! Elaine is a creative, crafty mom of an adorable little girl with another due in just over a month. Don’t miss her amazing creations and check out her shop and Facebook page for details on putting in your own order! A heartwarming blog about Thor’s journey to get an Autism Service Dog, Erin’s writing at Paws 4 Thor will move you from the first sentence you read. 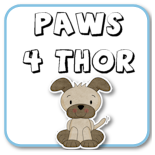 Visit to learn about all of the amazing benefits that a well-trained service dog can provide for children with Autism and all of their unique needs… as well as to cheer on Thor as he continues to move forward with the 4 Paws 4 Ability program! I seriously love chocolate covered strawberries. I’ve even thought about requesting them instead of cake for my birthday because they just seem like such an ultimate treat. Until discovering Shari’s Berries, I never would have realized you could get online chocolate dipped strawberries to send across the country. I got the chance to review some of their strawberries for myself, and I chose to try the Full Dozen Hand Picked Fancy Berries. They arrived in a nice box, packed with in a large insulated box that included a big ice pack. This kept them nice and cool – and amazingly fresh. Don’t they look good? There was a mix of dark, milk, and white chocolate. We had family and friends in town, so they helped me sample – and I also got some of my coworkers to sample too. The berries were a resounding hit! Everyone commented on how good they looked. The berries were fresh and juicy. Some of the juice had leaked out, but the berries rest on padded wrappers that absorbed the moisture so there was no mess. We all really enjoyed them, and I realized this is a great treat for a large group as well as for an individual person you might send them to. Everyone enjoyed picking from the different options available. If you have someone on your list to shop for that seems to have everything, this would be a great gift for them – or if you want to add something extra special, Shari’s Berries also has packages available to send flowers and chocolate covered strawberries together. 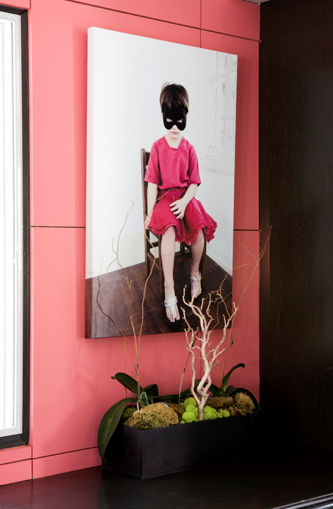 Check out this option, where the recipient gets flowers one day and strawberries the next – how fun is that? 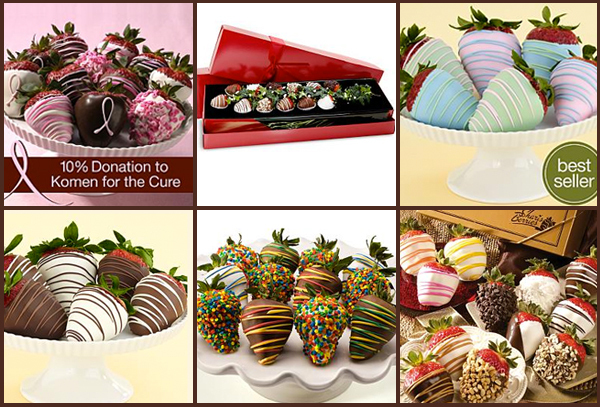 Mother’s Day is right around the corner – you can find great chocolate gifts for Mother’s Day at Shari’s Berries. 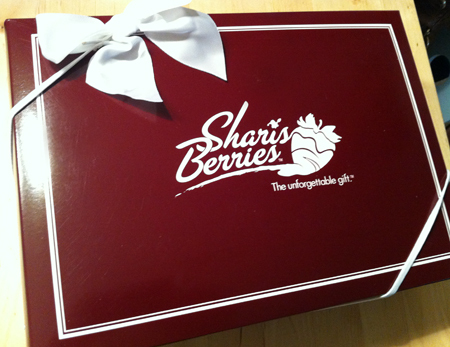 Would you love to try Shari’s Berries for yourself, or send a special gift to a loved one? 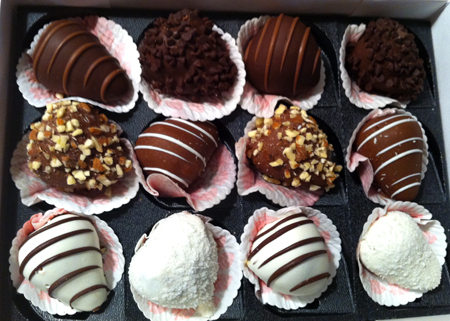 Well, one lucky reader will win a $50 gift code to Shari’s Berries! This contest is open to all US residents. Entries will be accepted until the end of the day (midnight CST) Thursday, May 5. Mandatory Entry: “Like” Shari’s Berries on Facebook, then comment back here letting me know you’ve done so! Note: Shari’s Berries provided me with the chocolate covered strawberries for review, and is providing the gift code for the giveaway. I was not compensated monetarily for this post, and all opinions are honest and my own. Jan! Thanks to everyone for entering!